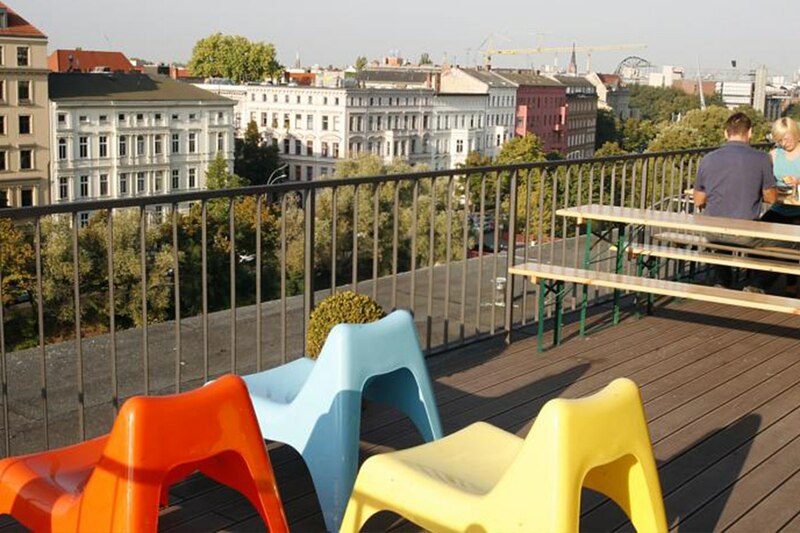 How to Discover the Perfect Place Among the Hip Hotels in Kreuzberg Berlin? 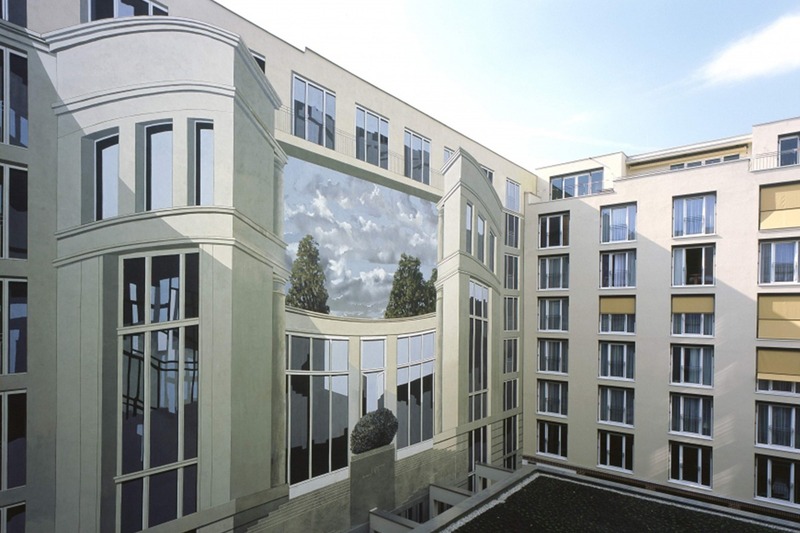 If you’re still planning your trip to Berlin, and the hotels that we mentioned before didn’t really suit your taste, here’s another list of hotels located in Kreuzberg. 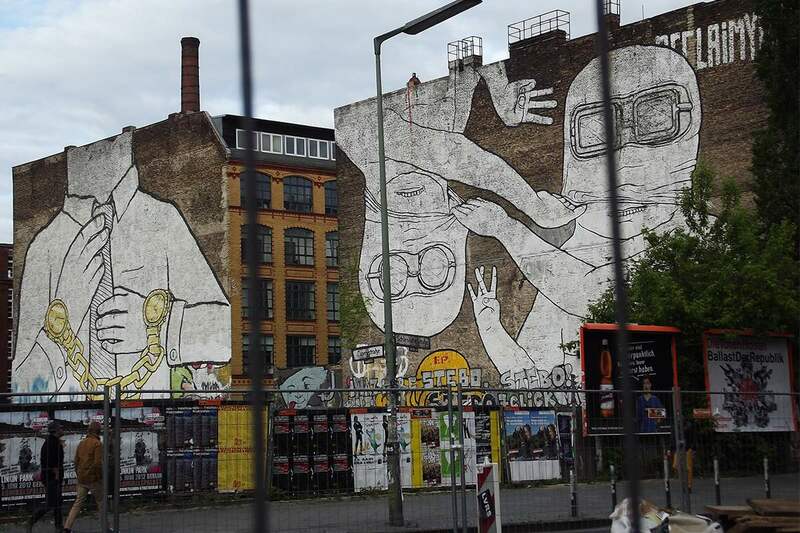 Why is Kreuzberg interesting? Well, today, it is one of the trendiest parts of the city, and a big number of bars, clubs and pubs are located in this area. It is also the part were most of the young people live, at least according to the statistics. Located south of Mitte, Kreuzberg is part of the city with the “shortest” history. It was established in 1920, and it played important roles throughout history – in short, it was the center of Berlin’s industry in the past, and then later in the 1960s it became famous for its alternative counterculture, due to its geographical nearness to the Berlin Wall. After the fall of the Wall, Kreuzberg became the center of Berlin once again. As usual, this will be a selection of some very diverse types of accommodation. 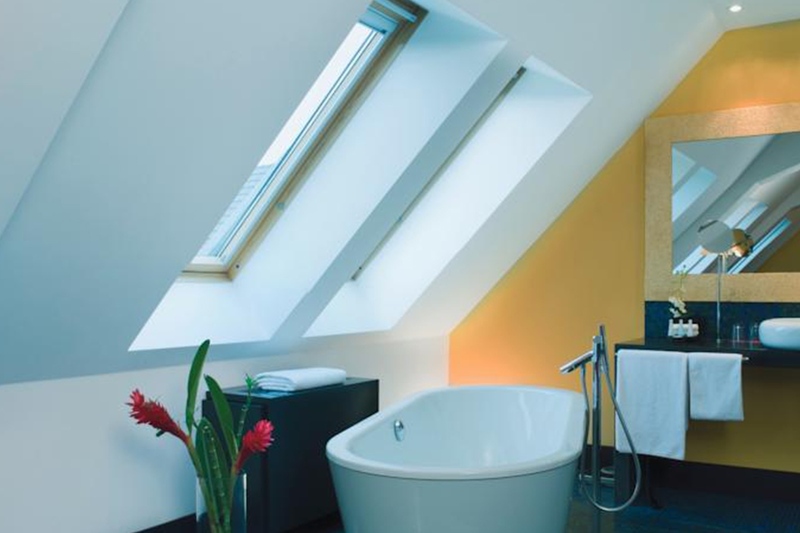 The first one on this list is Mövenpick Hotel, because of one simple reason: they have bathtubs in their rooms. Meaning, literally, inside the rooms, on carpets, next to the sleeping area. That is something everyone should treat themselves with, from time to time, or at least once – taking a bath in the warmth of a bedroom. The rest of the hotel also looks nice and clean, and they also have a restaurant on top of the building, with a glass ceiling, and apparently a waterfall! It must be a real pleasure dining in such atmosphere. But – there’s only one way to find that out. ibis Berlin City – also near Potsdamer Platz! 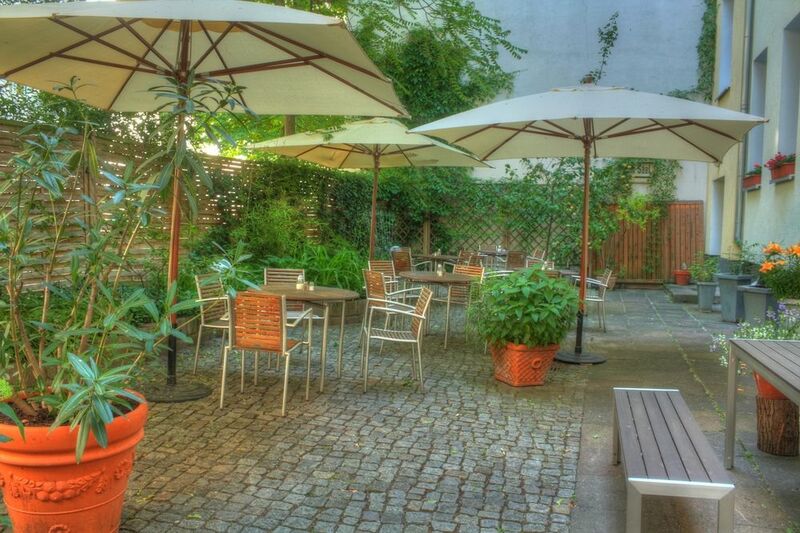 Just a couple hundred meters away, you can find ibis Berlin City hotel. The name of the hotel is spelled in lowercase on their website, and so it will be in our article as well. The interior of this hotel looks very neat, and if you’re keen on furniture design, you probably recognize the famous Eames chairs in the photograph. The rooms look lovely as well, and one of the best things about this place is that the reception is open 24/7 and you can eat breakfast any time from 4 AM till noon. This is a great piece of information for those who choose to go out and return at some point early in the morning, feeling hungry. That said, I personally know Berliners who go out at 4 AM, so you can live like one of them, and eat your breakfast before you go out. This is a rather typical hostel really – the rooms are classic hostel-like rooms (although the linens are perhaps a bit nicer than you imagine them). Nothing special, and pretty affordable. However, Happy Bed hostel has one major plus, and that is a wonderful terrace on top of the building. Regardless of where you’re located, having a terrace is always a great thing, especially if it’s a big one. And this one is located in center of Berlin! You can observe the skyline of the city while sitting and chatting with your friends, or you can admire the treetops beneath you. If you’re young, and traveling with friends or a friend, this could be a perfect choice for your stay. If for some reason you didn’t like the hostel that we just mentioned, but you’re still willing to take your chances with hostels, here’s another one. 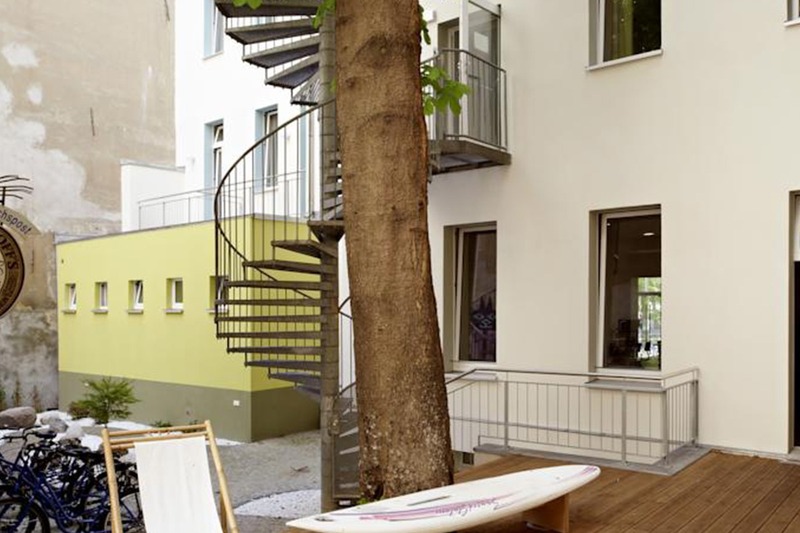 The Cat’s Pajamas Hostel is actually located in Kreuzkölln, which is between Kreuzberg and Neukölln, but it still belongs to the area. It is a very popular neighborhood, full of young people. Once again – a pretty regular hostel when it comes to rooms, but the additional facilities and some details are far more interesting. 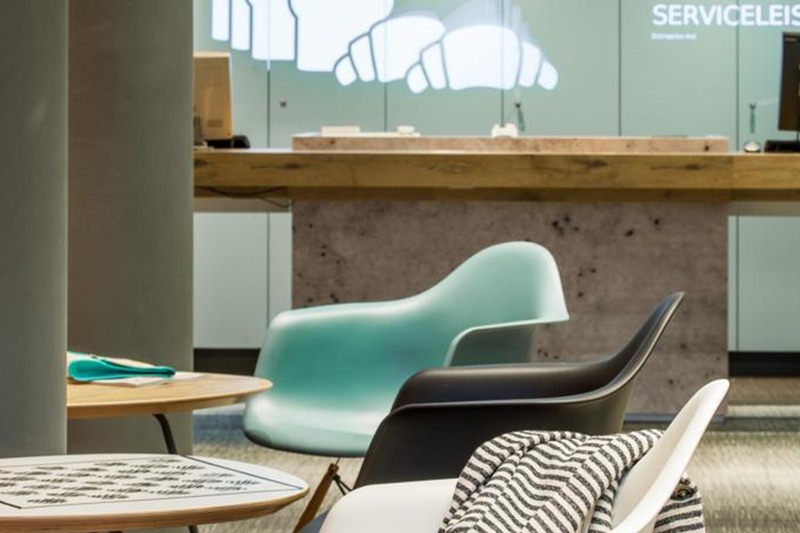 Most of the furniture is hip, and cleverly designed or recycled – like the surfboards, which are used as benches, for example. Be prepared to see cat faces everywhere, from the moment you step inside onwards (which can be a lovely thing if you like cats, or it could be annoying if you’re a dog person, but in that case – you really need to start liking cats). They also have a nice little courtyard, and they rent bikes. Yay! One of the most original things about hotel Johann is the fact that its rooms have large windows and high ceilings. Its interior is decorated in Berlin Altbauflair style, typical for pre-WWII architecture, which also means that the beds are quite big. For example, the beds in single-bed rooms are up to 140cm wide. In addition, the owners (who run the hotel themselves) claim that the hotel is eco-friendly, and it therefore has no mini bars or air-conditioners. They use ventilators, in order to provide rooms with fresh air. One of the best parts of the hotels is, of course, its courtyard, which seems to have a very intimate atmosphere, and a lot of beautiful plants. Relexa Hotel is located near the Anhalter Bahnhof S-Bahn Train Station, and the famous Potsdamer Platz is less than a kilometer away. It is pet-friendly, and for that matter, pets actually get special treatment – dogs are offered a blanket and a feeding bowl, but also a small surprise free of charge. As for the hotel itself, the rooms look clean and tidy, and they have big windows. But take a look at their courtyard, which is really out of the ordinary. Most of the rooms don’t have such a great view, meaning, most of them are facing the atrium of the building, which could be a problem. However, the people who stay here have a unique opportunity to witness a clever optical illusion, which suggests that they’re not inside a closed atrium, but actually on some public square. If you don’t like it – at least you have to admit that they really have a nice sense of humor, and you can go to their Finnish sauna instead and relax.